Athletic details dial up the overall aggressive design of the A3 Sedan. The sharp, signature Singleframe(R) grille leads the way while the available full LED headlights add distinction and greater visibility on the road ahead. The standard panoramic sunroof offers a virtually unobstructed overhead view, while flooding the cabin with natural light. When you want protection from the sun's rays, a manual sunshade is there to make it an easy task. Standard on the A3 Sedan, luxurious leather seating surfaces add a polished feel to the interior. Additionally, the 12-way power front seat with four-way power lumbar adjustment for the driver keeps comfort top of mind. At the heart of the 2019 Audi A3 Sedan lies a 2.0-liter turbocharged TFSI(R) engine that churns out 184 horsepower and 222 lb-ft of torque, going from 0-60 mph in 6.6 seconds. An available quattro(R) all-wheel drive model ups the ante of acceleration, zipping from 0-60 mph in just 5.4 seconds thanks to a more robust 228 hp and 258 lb-ft of torque. Either way, the A3 family brings added performance to its compact silhouette. A lightweight MacPherson strut front suspension with an aluminum subframe frees up unnecessary heft. At the rear, a four-link suspension utilizes a sophisticated approach to help maintain balance. Combined, the A3 Sedan delivers an exceptional driving experience. The A3 Sedan is made for road trips. In addition to performance, the engine's resourcefulness also can help optimize fuel economy. The A3 Sedan optimizes each ride, whether you're cruising on the highway or driving stop-and-go in the city. You can connect your Audi to your world with Audi connect(R), an intuitive system that integrates sought-after information like Google Earth?, weather conditions and traffic information. The Audi A3 Sedan comes with a complimentary six-month trial of Audi connect PRIME and Wi-Fi hotspot for passengers with Audi connect PLUS online services. Combined with in-vehicle 4G LTE connectivity, getting connected has never been easier. Audi Smartphone Inteface enables Apple CarPlay(R) and Google? Android Auto? interface, allowing you access to your compatible smartphone's features. Services such as navigation, telephone, music and select third-party apps can be incorporated and controlled through the MMI(R) touch interface or steering wheel controls. Audi pre sense(R) basic is standard on the A3 Sedan and can aid during emergencies by beginning to close the side windows and sunroof and by tightening the front safety belts. Additionally, Audi pre sense(R) front - standard on all trims - helps prepare for a front-end collision. When a hazard is detected, visual and acoustic warnings are enabled and the brake system is pre-charged. 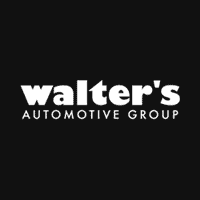 Meet your new 2019 Audi A3 in person today at Walter's Audi located at 3210 Adams St. Riverside, CA 92504.Price plus government fees and taxes, any finance charges, any dealer document processing charge, any electronic filing charge and any emission testing charge. Prices and offers on inventory expire each night at midnight. Price plus government fees and taxes, any finance charges, any dealer document processing charge, any electronic filing charge and any emission testing charge. Prices and offers on inventory expire each night at midnight. Athletic details dial up the overall aggressive design of the A3 Sedan. The sharp, signature Singleframe(R) grille leads the way while the available full LED headlights add distinction and greater visibility on the road ahead. The standard panoramic sunroof offers a virtually unobstructed overhead view, while flooding the cabin with natural light. When you want protection from the sun's rays, a manual sunshade is there to make it an easy task. Standard on the A3 Sedan, luxurious leather seating surfaces add a polished feel to the interior. Additionally, the 12-way power front seat with four-way power lumbar adjustment for the driver keeps comfort top of mind. At the heart of the 2019 Audi A3 Sedan lies a 2.0-liter turbocharged TFSI(R) engine that churns out 184 horsepower and 222 lb-ft of torque, going from 0-60 mph in 6.6 seconds. An available quattro(R) all-wheel drive model ups the ante of acceleration, zipping from 0-60 mph in just 5.4 seconds thanks to a more robust 228 hp and 258 lb-ft of torque. Either way, the A3 family brings added performance to its compact silhouette. A lightweight MacPherson strut front suspension with an aluminum subframe frees up unnecessary heft. At the rear, a four-link suspension utilizes a sophisticated approach to help maintain balance. Combined, the A3 Sedan delivers an exceptional driving experience. The A3 Sedan is made for road trips. In addition to performance, the engine's resourcefulness also can help optimize fuel economy. The A3 Sedan optimizes each ride, whether you're cruising on the highway or driving stop-and-go in the city. You can connect your Audi to your world with Audi connect(R), an intuitive system that integrates sought-after information like Google Earth?, weather conditions and traffic information. The Audi A3 Sedan comes with a complimentary six-month trial of Audi connect PRIME and Wi-Fi hotspot for passengers with Audi connect PLUS online services. Combined with in-vehicle 4G LTE connectivity, getting connected has never been easier. Audi Smartphone Inteface enables Apple CarPlay(R) and Google? Android Auto? interface, allowing you access to your compatible smartphone's features. Services such as navigation, telephone, music and select third-party apps can be incorporated and controlled through the MMI(R) touch interface or steering wheel controls. Audi pre sense(R) basic is standard on the A3 Sedan and can aid during emergencies by beginning to close the side windows and sunroof and by tightening the front safety belts. Additionally, Audi pre sense(R) front - standard on all trims - helps prepare for a front-end collision. When a hazard is detected, visual and acoustic warnings are enabled and the brake system is pre-charged. Let the 2019 Audi A3 impress you in person at Audi Ontario located at 2272 E. Inland Empire Blvd., Ontario, CA 91764.Price plus government fees and taxes, any finance charges, any dealer document processing charge, any electronic filing charge and any emission testing charge. Prices and offers on inventory expire each night at midnight. Athletic details dial up the overall aggressive design of the A3 Sedan. The sharp, signature Singleframe(R) grille leads the way while the available full LED headlights add distinction and greater visibility on the road ahead. The standard panoramic sunroof offers a virtually unobstructed overhead view, while flooding the cabin with natural light. When you want protection from the sun's rays, a manual sunshade is there to make it an easy task. Standard on the A3 Sedan, luxurious leather seating surfaces add a polished feel to the interior. Additionally, the 12-way power front seat with four-way power lumbar adjustment for the driver keeps comfort top of mind. At the heart of the 2019 Audi A3 Sedan lies a 2.0-liter turbocharged TFSI(R) engine that churns out 184 horsepower and 222 lb-ft of torque, going from 0-60 mph in 6.6 seconds. An available quattro(R) all-wheel drive model ups the ante of acceleration, zipping from 0-60 mph in just 5.4 seconds thanks to a more robust 228 hp and 258 lb-ft of torque. Either way, the A3 family brings added performance to its compact silhouette. A lightweight MacPherson strut front suspension with an aluminum subframe frees up unnecessary heft. At the rear, a four-link suspension utilizes a sophisticated approach to help maintain balance. Combined, the A3 Sedan delivers an exceptional driving experience. The A3 Sedan is made for road trips. In addition to performance, the engine's resourcefulness also can help optimize fuel economy. The A3 Sedan optimizes each ride, whether you're cruising on the highway or driving stop-and-go in the city. You can connect your Audi to your world with Audi connect(R), an intuitive system that integrates sought-after information like Google Earth?, weather conditions and traffic information. The Audi A3 Sedan comes with a complimentary six-month trial of Audi connect PRIME and Wi-Fi hotspot for passengers with Audi connect PLUS online services. Combined with in-vehicle 4G LTE connectivity, getting connected has never been easier. Audi Smartphone Inteface enables Apple CarPlay(R) and Google? Android Auto? interface, allowing you access to your compatible smartphone's features. Services such as navigation, telephone, music and select third-party apps can be incorporated and controlled through the MMI(R) touch interface or steering wheel controls. Audi pre sense(R) basic is standard on the A3 Sedan and can aid during emergencies by beginning to close the side windows and sunroof and by tightening the front safety belts. Additionally, Audi pre sense(R) front - standard on all trims - helps prepare for a front-end collision. When a hazard is detected, visual and acoustic warnings are enabled and the brake system is pre-charged. Meet your new 2019 Audi A3 in person today at Walter's Audi located at 3210 Adams St. Riverside, CA 92504. Price plus government fees and taxes, any finance charges, any dealer document processing charge, any electronic filing charge and any emission testing charge. With the character of a Mercedes-Benz SUV, a sporting soul and a compact footprint, the turbocharged GLA is agile, adventurous and adaptable. It's at home in the city, eager when you're far from home and a perfect fit for today and tomorrow. Taut, trim and muscular, the GLA is big on style from its iconic grille to its LED taillamps. Big 18-inch or 19-inch wheels and black fender flares lend a confident stance. Chrome and aluminum add elegant accents from bumpers to roof. The compact GLA packs some sizable surprises. Its sensible footprint conceals a cabin that's generous with legroom, headroom and luxury. And while it's solid and strong, it also slips through the wind efficiently and quietly. With 208 turbocharged horsepower, the GLA 250 quenches your thirst for performance with a minimal appetite for fuel. Advanced Direct Injection and multispark ignition self-tune on the fly, to keep your enthusiasm at full boost. The 7G-DCT transmission's offers the smooth refinement of an automatic with sporty reflexes. Its dual-clutch design shifts faster than a human can. While its shift paddles let you take charge of its seven speeds anytime. Whether you need to be connected or want to feel protected, the GLA surrounds with advanced technology that's designed to enhance your life on the go, even when you're away from your Mercedes-Benz. The vivid 8-inch color display is not only larger, it also brings you a wide range of ways to stay entertained and informed. From Bluetooth(R) audio streaming to available Apple CarPlay? and Android Auto, your GLA has your ears covered. DYNAMIC SELECT dials in the GLA's performance character with the tap of a console button. Throttle, shifting and more sharpen in Sport mode, ease up in ECO, keep calm in Comfort. There's even a mode you can set up yourself. Available LED headlamps flood the road ahead with light that's brighter, whiter and more like natural daylight. Arching white LED Daytime Running Lamps and LED taillamps with Stardust technology earn admiring glances coming and going. From the everyday to the unexpected, new Mercedes me Connect helps ease your way. You can control vehicle features from your smartphone. Get help in an emergency. Set up a service appointment. And more, all at no charge for 3 years, or up to 10 years for Emergency and Assist services. You can also add unlimited-data WiFi for a low monthly rate. Meet your new 2019 Mercedes-Benz GLA 250 today at Walter's Mercedes-Benz of Riverside located at 3213 Adams St. Riverside, CA 92504.Price plus government fees and taxes, any finance charges, any dealer document processing charge, any electronic filing charge and any emission testing charge. Prices and offers on inventory expire each night at midnight. ORIGINAL PRICE WAS $44,125. SMARTPHONE INTEGRATION PACKAGE. KEYLESS-GO. BLIND SPOT ASSIST. REAR VIEW CAMERA. LED LOGO PROJECTORS. BLACK FABRIC HEADLINER. Only 8,519 Miles! Delivers 33 Highway MPG and 24 City MPG! Carfax One-Owner Vehicle. This Mercedes-Benz C-Class delivers a Intercooled Turbo I-4 2.0 L/121 engine powering this Automatic transmission. This Mercedes-Benz C-Class Comes Equipped with These Options SD-CARD NAVIGATION PRE-WIRING, POLAR WHITE, Heated Front Seats, Dual Zone Front Automatic Air Conditioning, BRUSHED ALUMINUM DOOR TRIM -inc: Natural Grain Black Ash Wood Center Console, Blind Spot Assist, BLACK MB-TEX UPHOLSTERY, Electric Power-Assist Speed-Sensing Steering, Back-Up Camera, Day-Night Auto-Dimming Rear view Mirror, Valet Function, Tire Specific Low Tire Pressure Warning, Strut Front Suspension w/ Coil Springs, Smart Device Integration, Side Impact Beams, Seats w/ Leatherette Back Material, Rear-Wheel Drive, Rear Fog Lamps, Power Rear Windows, Power Door Locks w/ Autolock Feature, Power 1st Row Windows w/ Front And Rear 1-Touch Up/Down, Outside Temp Gauge, Outboard Front Lap And Shoulder Safety Belts w/ Rear Center 3 Point, Height Adjusters and Pretensioners, Multi-Link Rear Suspension w/ Coil Springs, LED Brakelights, Gauges w/ Speedometer, Odometer, Engine Coolant Temp, Tachometer, Trip Odometer and Trip Computer, Gas-Pressurized Shock Absorbers, Galvanized Steel/Aluminum Panels, Fully Automatic Projector Beam Halogen Daytime Running Headlamps w/ Delay-Off, Full Cloth Headliner.Peace of Mind Purchase this vehicle with peace of mind with Walter's 5 day -- 500 mile exchange policy.Stop By Today Stop by Walter's Mercedes-Benz of Riverside located at 3213 Adams St, Riverside, CA 92504 for a quick visit and a great vehicle!Price plus government fees and taxes, any finance charges, any dealer document processing charge, any electronic filing charge and any emission testing charge. Prices and offers on inventory expire each night at midnight.